This organic tonic, described as an unsung hero by PbAO customers, not only hydrates, tones and revitalizes tired skin, but also sets your makeup, refreshes you post-workout, and most notably, shifts your energy–inviting an elevated state of being with it! You will receive the healing benefits of Reiki when you use this spirit-lifting tonic post yoga or pre-meditation as an aromatic heart and third eye chakra opener. Our Rose Geranium Hyrdrosol, helps soothe pre-menstrual symptoms while Palmarosa purifies your energy, giving you a fresh frame of mind whenever needed. 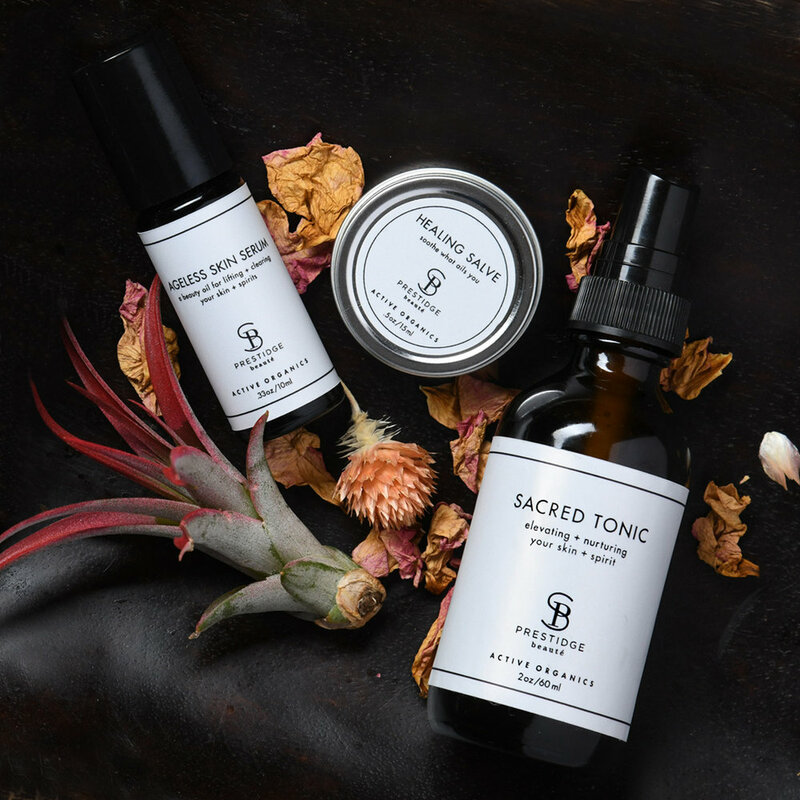 Sacred Tonic is made with the finest natural, wild crafted and organic ingredients-by hand in small batches to ensure potency and freshness. Spritz your freshly cleansed face with a generous mist, prior to applying Ageless Skin Serum. Atomize again after makeup application. Use it to freshen after a workout, or whenever you need to breathe deeply-to reset your mood and access a higher state of being! Use it right before bed to ease you into your nightly slumber. And share it with your kids to help when they need a little time to move through big feelings.